"Happy is the birth of Buddhas. Happy is the teaching of the Sublime Dhamma. Happy is the unity of the Sangha. Happy is the discipline of the united ones"
May the world enjoy peace and harmony. May all being be well and happy. 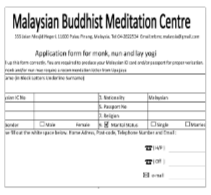 During the Wesak Day, MBMC has organized one day meditation retreat. 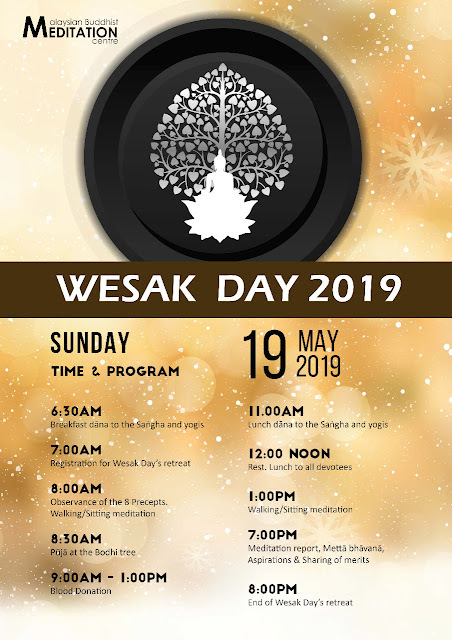 The retreat began on Wesak Eve and ended at 8pm the following day. 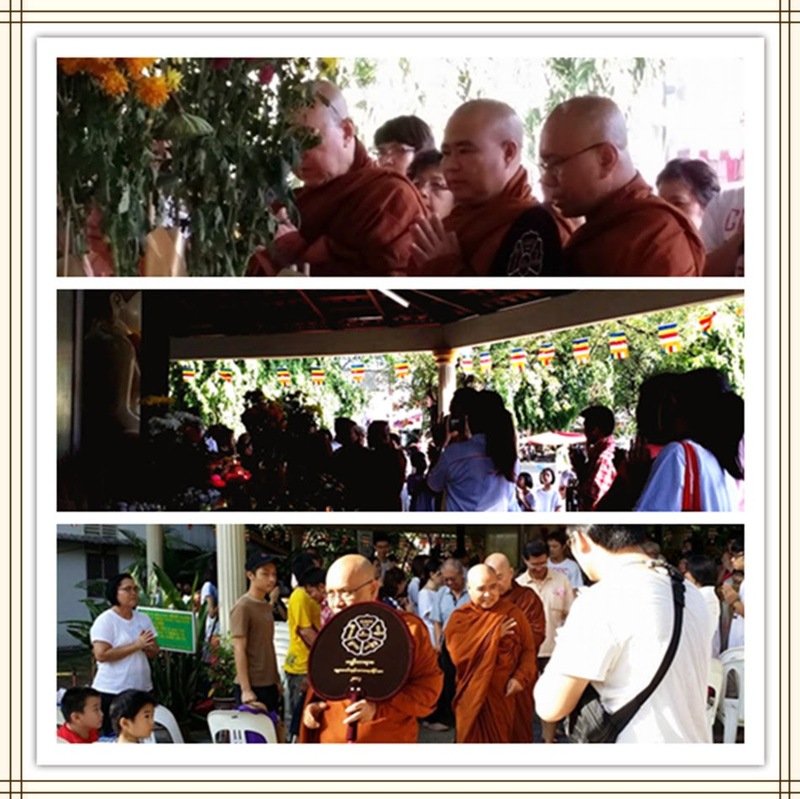 The program of Wesak Day 2014 began with Puja at the Bodhi tree. Sangha led all devotees to do puja service. MBMC representatives offer alms bowl, water, flower, candle light and incense. 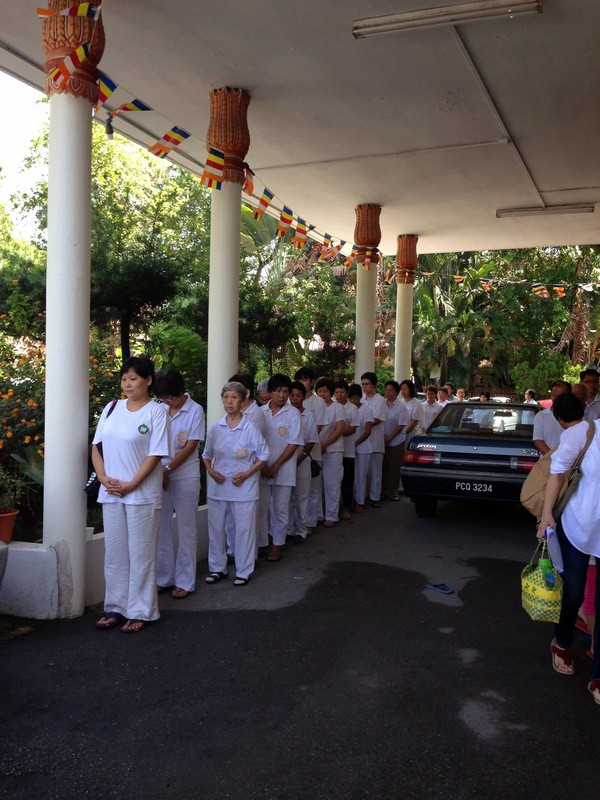 Before ending, we followed Sangha rounding the Bodhi tree with Buddhanusati chanting together. 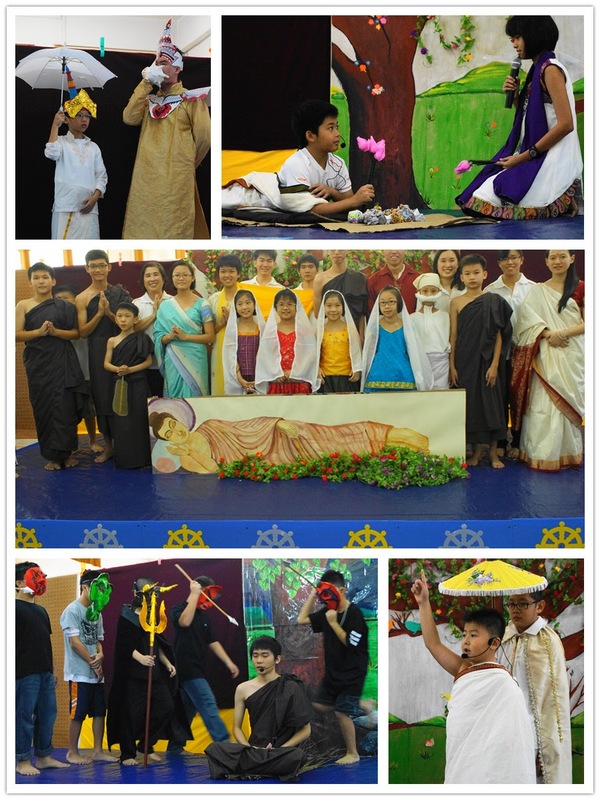 About 9.45am to 10.45am, MBMC Dhamma school's students were preparing themselves to show the story of "The Life of the Buddha". There are total 4 episodes to complete the performance. After the drama play, we took a group photo to commemorate the accomplishment of the performance. 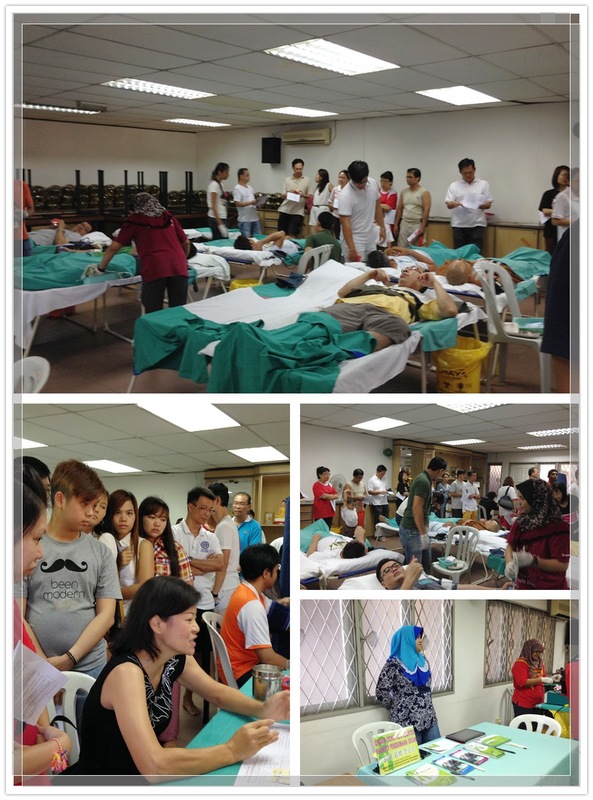 Besides, this year quite a numbers of devotees, parents or teachers after watching the performance, they went to participate in blood donation. The end, light refreshment was served to all devotees, parents, students and teachers.